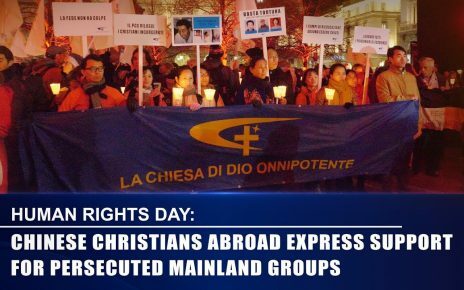 In its effort to blot out religion, the Chinese Communist Party uses churches and temples as venues for the non-religious to perform. On February 15, 2019, a theatrical performance broke the serenity of Faguan Buddhist Temple, located in the Hukou county of Jiujiang city in southeast Jiangxi Province, which is usually a tranquil ancient temple, built in the Song Dynasty – an era which lasted from 960-1279. 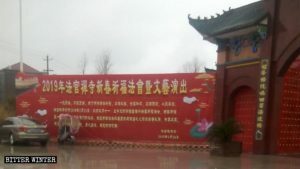 Using temples and churches as a site for political and cultural performances is a new government anti-religion tactic employed throughout China. Authorities are introducing “Happy Sunday” events of promoting dances, tug-of-war games, and other amusements, as an alternative to Sunday Mass or are taking over churches to turn them into theaters, game rooms, and different types of entertainment venues. Promotional poster of the “2019 New Spring Buddhist Prayer Service and Theatrical Performance” at Faguan Buddhist Temple. 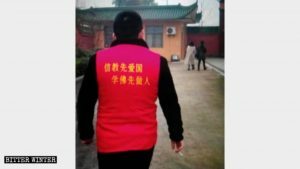 And so, the Faguan Buddhist Temple had no choice but to invite a theatrical troupe to stage performances at the temple in accordance with the government’s requirements, a Buddhist householder, otherwise known as a lay devotee, told Bitter Winter. The scene of the “2019 New Spring Buddhist Prayer Service and Theatrical Performance” at Faguan Buddhist Temple. 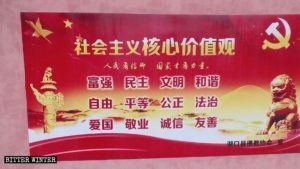 Propaganda board with the core socialist values on it in Faguan Buddhist Temple. The initiatives to force artistic performances into religious venues are still being implemented across central China’s Henan Province. This campaign is being carried out as if it were a political mission. On February 5, 2019, Huxi Church in Yongcheng city’s Houling township held an event to celebrate the Spring Festival. But just as the show was beginning, the directors of the women’s federations of Huxi village and Huzhong village, accompanied by two young men, stormed into Huxi Church, turning the religious event into a politically cultural one. 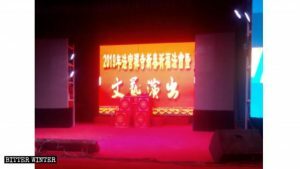 The two young men then held up a banner reading “Houling Township Springtime Cultural Event: Huzhong Village Artistic Performance,” while the directors of women’s federations of the two villages’ were recording this scene with their mobile phones from below the stage. 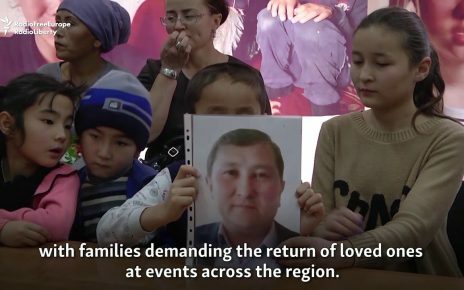 Chinese Deradicalization Camps: Education Or Persecution?